Lieutenant Colonel Kabir Yusuf Help For Heroes Foundation on Friday gave succur to some widows of military personnel who lost their lives while defending the country. The Foundation was set up to immortalize late Lt. Col. Kabiru Yusuf who went missing after an ambush by insurgents at Ghashigar in Maiduguri, Borno State on 16th October, 2016 but later found dead by the river bank three months after and buried on January 6th, 2017. Presenting the relief items (mainly food and cosmetics) to some of the beneficiaries at the Foundation’s office at Mogadishu, Kaduna, the Foundation’s Matron, Hajia Shola Raji, who spoke on behalf of the President of the Foundation, Alhaji Mashood Kayode Yususf said, the time has come to look into the plights of widows who may have lost their husbands in action and assist them in whichever way possible. According to her, the security of the nation is the number one priority of Nigerian Armed Forces and some of military personnel have to paid supreme price while doing that hence the need for others to join them in reaching out to women and children left behind by the dead. “We really want to assist but we also need other partners in this course we belief can boost the morale of our military personnel while defending the country. We only want to support what the government and Armed Forces are doing in our own way”, she said. Responding on behalf of the beneficiaries, overall Magajia (head of wives of soldiers) of 1 Division Mechanized Nigerian Army Kaduna, Elias Rita thanked the Foundation for the gesture saying, it will meet some immediate needs of the beneficiaries. 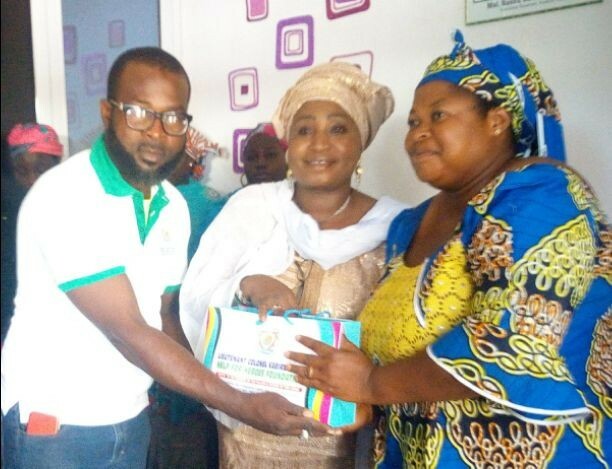 In a remark, widow of the slained officer, Hajia Bashirat Kabir Yusuf stated that, the Foundation was established to support widows and orphans of military personnel. To benefit from this charity group as a widow, you must visit and register at its office located at Mogadishu layout, adjacent FIRS, Kaduna, Kaduna North local government area of the state in Northwest Nigeria.